Attorney Josh Rohrscheib is a personal injury lawyer who cares about every client he represents. If you have experienced an accident that you are not at fault for, a personal injury lawyer can help you to navigate the legal process and get a fair settlement. While you can work with an insurance company directly and file a court case on your own (pro se), your chances of getting the settlement you deserve are greater with the help of a personal injury attorney. 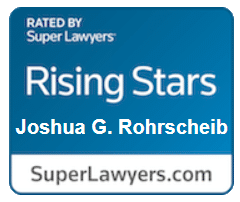 Josh Rohrscheib is one of the Super Lawyers Rising Stars personal injury attorneys who serves Sullivan IL. 1. You are injured in a car accident and an insurance company will not pay for your injury. 2. The insurance company will not respond or refuses to treat you with respect and courtesy. 3. You have suffered an injury that has resulted in significant medical debts. 4. Your injury left you disabled or with permanent or long-term consequences. 5. You are missing work due to an injury and losing wages. How do I get started with hiring a personal injury attorney in Sullivan Illinois? If you’re looking for a lawyer for a car accident or another injury case, Josh would be happy to talk to you, free of charge, to discuss your case and help you determine if you want to hire a lawyer and who might be a good fit for your case. Josh Rohrscheib can provide you with legal representation in a personal injury claim in or around Sullivan, Moultrie County, Illinois. Contact Josh for a free case evaluation today. 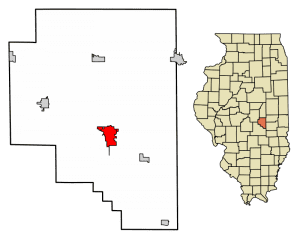 Josh Rohrscheib serves clients in Central Illinois including in Anchor, Arrowsmith, Bellflower, Bloomington, Chenoa, Colfax, Cooksville, Cropsey, Danvers, Downs, Ellsworth, Gridley, Heyworth, Hudson, Le Roy, Lexington, Mc Lean, Merna, Normal, Saybrook, Shirley, Stanford, Towanda, and the entire Bloomington-Normal area. Submission of this form does not create an attorney-client relationship. Do not discuss confidential or sensitive information on this form. Decatur, Forsyth, Maroa, Argenta, Oreana, Mt. Zion, Warrensburg, Niantic, Harristown, Macon, and Blue Mound in Macon County; Clinton in Dewitt County, Lincoln in Logan County; Monticello in Piatt County; Shelbyville in Shelby County; Taylorville in Christian County; Sullivan in Moultrie County; and Bloomington and Normal in McLean County.